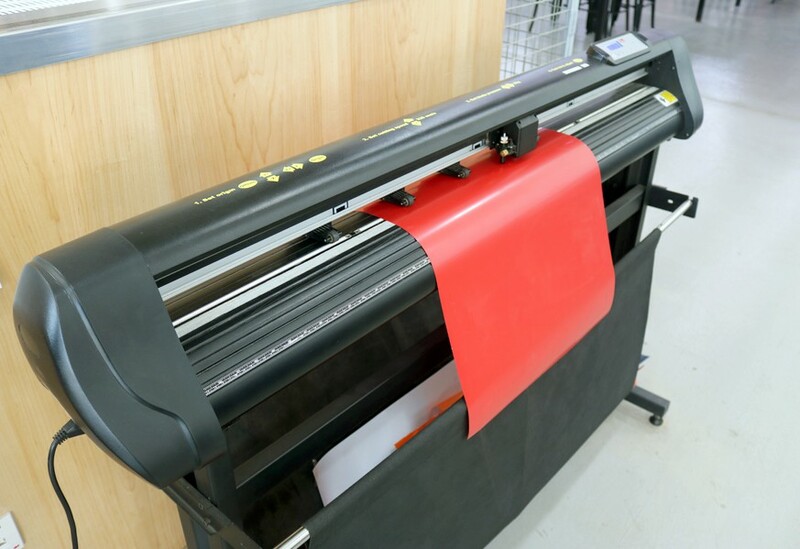 This machine can be used to cut out stencils and make your own decals! You can use two kinds of materials: sticker vinyl and heat transfer vinyl. So if you want to customize your shirt, or make a special decal for your car, get your hands on the vinyl cutter!